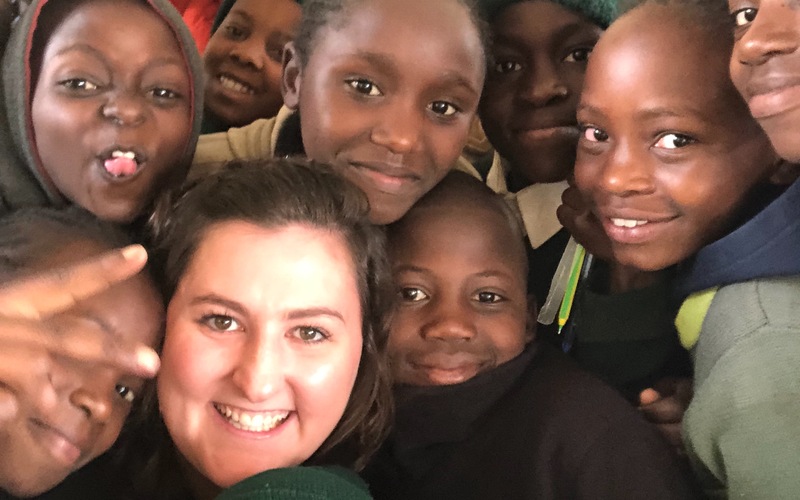 In September 2018 I spent some time volunteering at Dada’s school and orphanage in Nairobi, Kenya. While I was there teaching even though the children are filled with joy and laughter it was shockingly obvious how much they lacked in teaching resources. At the school they teach directly from the textbook for every class, every day. Some of these classrooms only had two or three textbooks for the whole class. Meaning the teacher had to write the whole page on the board, slowing down the lesson as well as their learning. Since I’ve left Kenya and come back to my day-to-day life I haven’t been able to get the children or the school out of my thoughts. The children were the most appreciative and happy kids I have ever met and I just had to do something to help. I have been working directly with the school director As well as a local bookstore who is going to offer free delivery of the books to the school. The long-term goal is to have 50 textbooks in each subject for every grade in the school allowing every child to have direct access to a book. There are 10 classes in the school two pre-K classes, and grades 1-8. Pre K has 4 different textbooks and the others have 6. Each textbook costs roughly 400 shillings ($5 AUD). Any donations will help these kids. If you can give $50 you can give them 10 textbooks, if you can only afford $5 that’s one textbook going directly to the desks of these wonderful kids.